Four years ago at this moment, I was in the hospital awaiting the arrival of our first baby. I remember feeling tired, anxious, excited and oh so ready for her to just be here already! The past four years have been everything I have imagined and more- the happiness, exhaustion, frustration and love- I can not imagine a life without her. As fast as these four years have flown, I can't remember what life before Sophia was like. It has seemed like she has always been apart of our lives. It has been an absolute joy and blessing to watch her grow and learn and I am so lucky to be her mommy. She is becoming such a kind, caring, smart, and spunky young lady that I am so proud of. Each day she amazes me with her ability to turn my attitude right around and no matter what kind of day I had at work, the moment I see her smiling face, it all disappears. She still has that effect on me four years later. I can't wait for what this next year will bring. 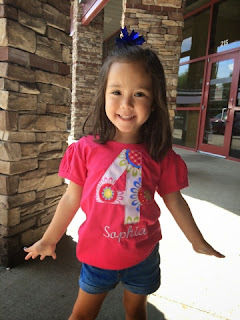 This year, I decided to give Sophia a little birthday interview- here are her answers! What is your favorite thing to do outside? Run, run around! What is your favorite thing to eat for breakfast? Cheerios.. and Eggs! What do you want for dinner on your birthday? Chicken, mac and cheese and chocolate milk! 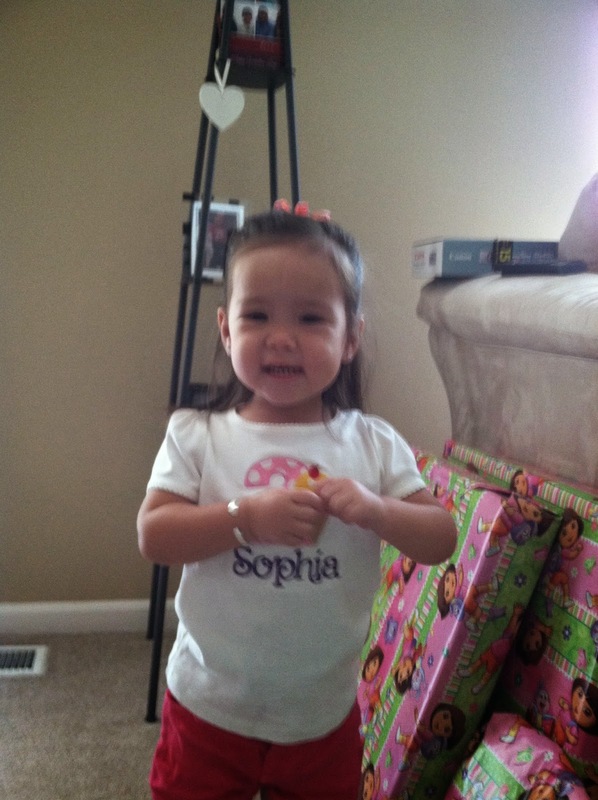 Happy Fourth Birthday Sophia! We love you!